There is more than one recording artist that goes by the name Tribulation: 1) In 2004 Tribulation arose from the ashes of the fallen angel Hazard. After a few line-up changes Tribulation became a four piece consisting of D.D. Sars and Evil Kid Joe on the guitars, Jonka on the bass guitar and throat, and Bob Gentle as the devil on the drums. In 2005 the delayed ?The Ascending Dead?-demo was released. 1) In 2004 Tribulation arose from the ashes of the fallen angel Hazard. After a few line-up changes Tribulation became a four piece consisting of D.D. Sars and Evil Kid Joe on the guitars, Jonka on the bass guitar and throat, and Bob Gentle as the devil on the drums. In 2005 the delayed ?The Ascending Dead?-demo was released. The demo hadn't been out for long when Zombie Ritual Tapes contacted us and wanted to release it, and so they did. The recordings of an EP took place and the result was the, once again delayed, ?Putrid Rebirth? 7?. It was released by the mighty Blood Harvest Records. As for now we're looking for gigs and writing material for our debut album. It's going to be released by Pulverised Records and Temple of Darkness Records. Beware. 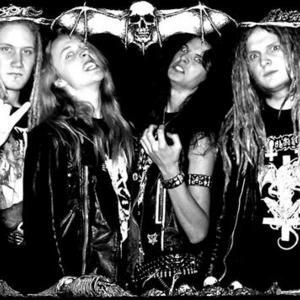 2) Tribulation were a thrash metal band from Surahammer, Sweden who formed in 1986 under the name Pentagram. After releasing one demo entitled Infernal Return they changed their name to Tribulation. Over the next few years they released several more demos, an EP, a full-length album and also contributed to split 7" on Is This Heavy Or What Records.